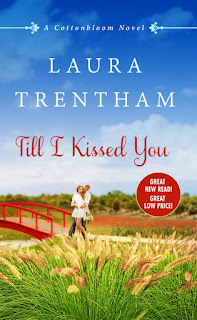 I'm so excited to host Laura Trentham today! I fell in love with Laura's writing while reading her Falcon Football series and the first book in her new Cottonbloom series has made me love her books even more. Her stories are filled with humor, sizzle, and a whole lot of heart in a small town setting. 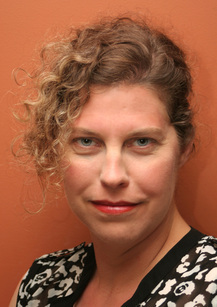 Laura knows a lot about small towns, having grown up in one in Northwest Tennessee. She loved reading and English in high school but pursued a Chemical Engineering degree in college, spending many years working in a hard hat and steel-toed boots. These days, she's busy raising a family and creating wonderful stories in Regency England and small, southern, American towns. Hi, Laura! 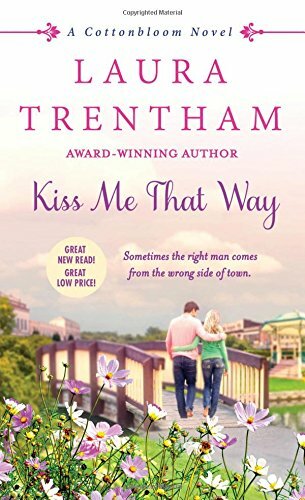 Congratulations on the release of your first mass market paperback, Kiss Me That Way! What should readers expect from this book? They should expect to laugh, get little teary eyed in places, and breathe a huge sigh of happiness at the end! There’s more than where they grew up standing between Cade and Monroe. What is it about these two characters that convinced you they were destined to be together? Although their paths are vastly different, they had to face terrible things too young and each has tried to conquer their fears. In the other person, they found someone they can trust and who truly understands them. 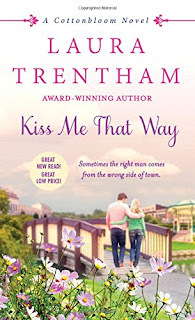 Kiss Me That Way kicks off your new Cottonbloom series. How many books will be in this series? Will each book stand on its own or do you recommend reading them in order? This series is a perfect beach read! 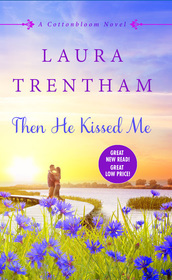 There are three books in this story arc, taking place over one summer: Kiss Me That Way in June, Then He Kissed Me in July, and Till I Kissed You in August. They are standalones, but I recommend reading them in order because of the secondary storylines that connect them. Plus it’s more fun that way. Starting summer 2017 will be another three-book series set in Cottonbloom! Different family, different story arc, but I’m sure some favorite characters will make an appearance. First up is Turn the Night On! And one last project that connects my Falcon Football series and the Cottonbloom series is a Christmas novella featuring Jeremy Whitehurst (aka Whitey) and Kayla Redmond, who is a secondary character in Kiss Me That Way. It’s coming to e-readers everywhere this October! Marking my calendar for all of the above! I have to tell you how excited I am to hear you've written a story for Jeremy/Whitey. I was so intrigued by his character in your Falcon Football series. You have a gift for creating a vivid sense of place. I felt it while reading your Falcon Football series (which I highly recommend, readers!) and again during Kiss Me That Way. Have you spent time in Louisiana or Mississippi? You sure brought it to life in this story. Except for passing through both states and spending time in New Orleans, I haven’t! Cottonbloom is entirely of my imagination. But, I have spent lots of time in Alabama and Tennessee and know the flavor of towns like Cottonbloom. I also loved the idea of a town divided over a state line. I love the small towns that you've created. What is about small town settings that appeals to you as a writer? I grew in a small town in Tennessee, and every day finds me more and more nostalgic for my childhood. It was such a great place (still is!) and yes, you knew everyone. The kids I went to kindergarten with were the same ones I graduated high school with. Unfortunately, that’s not the experience my son will have. The world is changing. Small towns are disappearing or losing that sense of place all over the country, and my goal is to recapture it for the reader. As an aside, my hometown was the basis for Falcon, Alabama, down to the layout of the library. I make a killer broccoli salad! You know the one with the bacon and raisins and sunflower seeds and sugared mayo dressing…Sounds totally weird, but it is heaven on earth which is why it’s perfect for a church potluck! (You can find the recipe on my website.) But, I will stake out the deviled eggs if available, because it’s something I don’t normally make yet love. Ah, yes. I know that broccoli salad well. It's a favorite! Readers, you can find the recipe here. Our recent warm weather here in North Carolina has me anticipating summer. What’s your favorite season? What sets it apart from the others? Fall is actually my favorite season because…FOOTBALL! I’m a huge Tennessee Volunteer football fan. I will be in San Diego at the RWA Literacy Signing July 13th! My very first signing and I would absolutely love to meet some readers. Cade’s brother’s and sister’s books will be out in July and August. Will you tell us a bit about what we can expect from their stories? Nash and Tally were best friends growing up but were ripped apart by tragedy. Then He Kissed Me is a really sweet friends to lovers book. Regan and Sawyer’s book (Till I Kissed You) might be my favorite. It’s enemies to lovers with a little second chance love thrown in. These two have some explosive chemistry, plus they made me laugh. Thanks for visiting with us today, Laura! Would you like to ask our readers a question? Talking about food made me hungry…What’s your favorite potluck take-along dish? 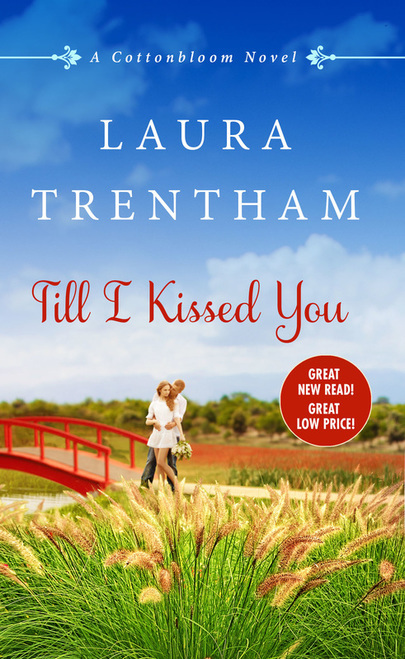 One randomly chosen person leaving a comment will receive a signed copy of Kiss Me That Way. (US only) If the chosen winner lives outside the United States, a $10 Amazon gift card will be substituted for the book. For pot-luck dinners I usually take along a fruit platter. Fruit is always popular with the kids! Thanks for the interview! I've read Laura's historical novels and really enjoyed them. Depending on the occasion, I'll bring a fruit or veggie plate or something like queso, salsa and chips. Glad to hear you've enjoyed Laura's historicals, Glenda. I haven't read them yet but they're on my list! This sounds like my kind of book, and it comes with a recommendation from PJ. I'm off to add it to my Kindle. As for potlucks, I usually bow to requests and bring potato salad made according to my great-aunt Tula's recipe. I think you'd enjoy it, Janga! I'm usually the one designated to make potato salad too. I use my mom's recipe. This book is ideal for summer. I bring bruschetta. Love it. Delightful book which I would enjoy. Summer I bring a fruit salad, winter I bring a pasta salad. I love fruit salads. When peaches come into season next month I'll be whipping up some fresh peach trifle. Can't go wrong with fruit. Do you have a favorite? My family usually wants me to bring either my hash brown potato casserole or meaty BBQ beans. Your new book sounds great. I really enjoy small-town romances. I like the sound of those meaty BBQ beans, Cheryl. Do you have a recipe you'd be willing to share? Gotta love homemade mac and cheese! lol... I cheat and it's whatever looks great at the grocery store :) thanks for sharing! Yay! Hope you enjoy it...taco salad is delish! Potluck depends on the season. In the fall or winter months, I make chili. The rest of the time I make taffy apple salad. I love it. Favorite season is spring. It is the time of re-birth. Of Mother Nature coming up. Okay, you're going to have to tell us more about taffy apple salad. I've never heard of it but it sounds delicious! 1. Mix flour, sugar, beaten egg, vinegar and juice from the pineapple together. 3. Peel and cut up apples. Pour cooked mixture over the apples and mix well. Add the pineapple and fold in the Cool Whip and peanuts. 4. Chill in the refrigerator for at least 1 hour before serving. Keep this chilled after serving if any is left. I hope you enjoy it. The first time I had this was about 20 yrs ago. I was just reading this and it should be 1/2 cup of sugar. I haven't had those in years! I make those whenever we have big groups over and around the holidays! Love them and really easy too. I like Laura's historical books, too. I always take my English Trifle for potluck. Thanks, Diane! You should check out my contemporaries...I think you'll enjoy them too. I usually bring a 7 cup salad. It is a fruit-type salad, but not too sweet. It contains one cup each of 7 ingredients so is easy to increase if you want to make a large batch. I like that it is not as sweet as many of this type of salad are. It has fruit cocktail (lightly drained), crushed pineapple (well drained), shredded coconut, miniature marshmallows, cottage cheese, sour cream, and chopped pecans. It should be made 24 hours ahead so the marshmallows and melt a bit and add their sweetness. It keeps well for several days. If I am bring it to gathering of people I do not know well, I leave out the nuts. I don't add them to anything that will be served in that type of situation. Too many people have nut allergies. Count me in. The Covers alone are a draw. LOL.